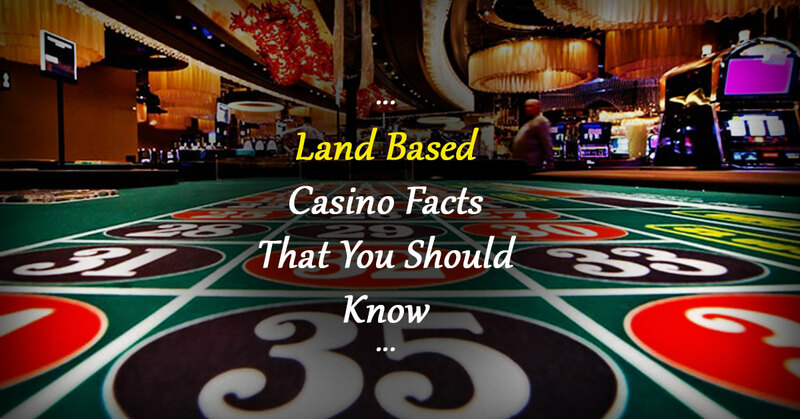 If you think that casinos are built and designed just like any other commercial building with no attention to psychological details, think again. Casinos are probably the best examples of a carefully designed architecture. Each and every part of a casino is designed with the aim to keep the players engaged and make them play more. This is the reason why you should avoid these landed casinos, or be very careful when playing in a real casino. What I am trying to say here is that the casinos use specific tactics to make you feel comfortable, wanting to play more, and best of all, optimistic.Wondering how? Keep reading to find out. Before going ahead I would like to suggest choose online casino service to avoid these kinds of hassle. Whether you have noticed it or not, but most casinos do not put any clock on their casino walls. This is to keep the players engaged in gaming for as long as possible. Gambling is addictive by nature, and when you are not constantly watching the clock, you will have no idea of the time passing by as you will be too engaged in your game. This is also why most of the casino dealers do not wear a watch. The same thing applies to the presence of windows in casinos, which is also very rare. You might see some windows at near the casino gates but there are usually none in the actual playfield. Why? Because casinos want you to completely cut out of the outside world once you are on their premises. The absence of windows is aimed at fulfilling that purpose only, so that the players cannot see if it is getting dark outside and leave. In short, casinos do not want you to leave once you enter the building. You must have noticed that the lighting in casinos is usually low and kind of mellow. This is to give you a cool and homey feeling so you feel like you are playing sitting at your own home. There are other activities like the constant ringing of bells, the whirring of slot wheels, flashing lights, and more. All this is aimed at giving you the impression that you are here to win and you should continue playing like everyone else is. This gets even better when someone else wins a round or two at the same time you are playing a game. Even though it is true that a legit casino will never interfere with the natural operations of its gaming machines or rig them to cheat the players, you can always expect the casinos to play the mind game with you. How? Casino games are designed such that they keep paying small amounts on regular basis. This is to maintain the interest of players. If a game doesn’t pay at all, the players will eventually lose interest in it. There is no better motivation than nearly winning, other than winning. If you almost win a game, you are usually more motivated to keep playing as you start thinking that the luck is on your side and you will win a game eventually. This is why slot machines, blackjack, and all other casino games are designed to payout small wins to maintain user interest and trust in them. As they say, alcohol is the solution to every problem. Even though it is not, you cannot keep your hands off the bottle when you are gambling, especially when the drinks are on the house. Who doesn’t like free drinks? Most casinos will instruct their cocktail waitresses, who usually are very beautiful and attractive, to maintain the flow of drinks to all the high paying tables. The aim, as you may have imagined, is to keep players happy, satisfied, and interested in whatever they are doing. Another thing that you may notice in some casinos is that the various services, such as the restroom, eating hubs, and booking windows, are usually located far back from the field. This is to make users walk through the casino floor and pass through all the tempting tables and machines, again and again. When you see more games to play, you play more games, as simple as that. Casinos want you to have a last look at the available options, giving you hope that you can win more, just when you are planning to leave and have already cashed in your winnings. Free offers, such as free bets and drinks, are used by casinos to keep their players engaged. This may include but is not limited to coupons for free meals, free shows, drinks, free bets or point cards, and/or free buffets. After all, who doesn’t like freebies? Many casinos will also offer you free points on your casino card for each game you play. The trick is to keep you coming back to the same casino in order to use those free points, which usually ends up in you investing more of your own money. These offers are specifically important for small gamblers who do not usually gamble big money. Even if they do not win anything, they still feel happy to get free bonus points or something like that. A big percentage of the money made by casinos comes from these low rollers. High rollers are obviously important for casinos as they bring more money than any small bettors. This is why casinos have special strategies to keep their big winners happy. Those who manage to win big are given special care and treatment. The sole purpose is to keep them in the casino for as long as possible. The longer a big winner stays inside the casino, the more money he is likely to give back. These players are given free and even premium offers like free suites, dining and more things that they just cannot refuse. In those moments, the casinos will even make you feel like you’re some kind of royalty or a very important person, but in actual, all they are interested in is your money. So, now you know why you should avoid playing at a brick-and-mortar casino. Even if you play there, you should at least be careful of the things mentioned above. Good luck!